1. Press the Alt key. 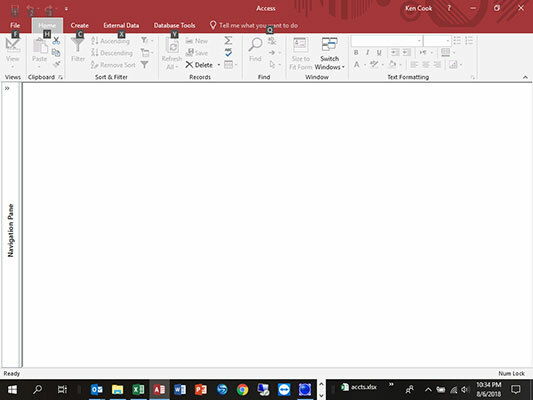 When you want to switch tabs and issue commands with the keyboard in Access 2019 (rather than with the mouse), press the Alt key. 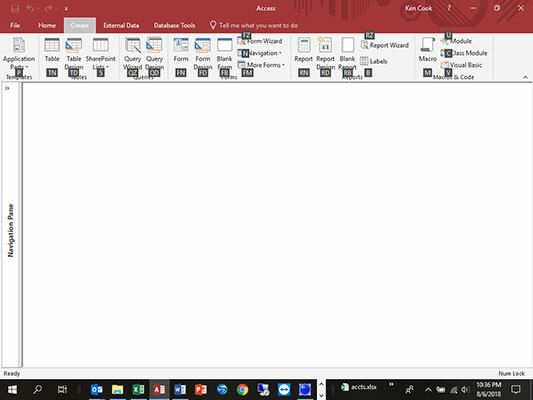 As shown in the following figure, pressing Alt causes numbers and letters to appear in small squares on the Quick Access Toolbar and the Ribbon’s tabs. 2. Press a Key Tip to set the focus to that item (like C in this case for the Create tab). Key Tips appear for the item, as shown in the following figure. 3. Press a Key Tip (like TN to create a new table). When you press one of the characters on your keyboard, the command assigned to the Key Tip runs.